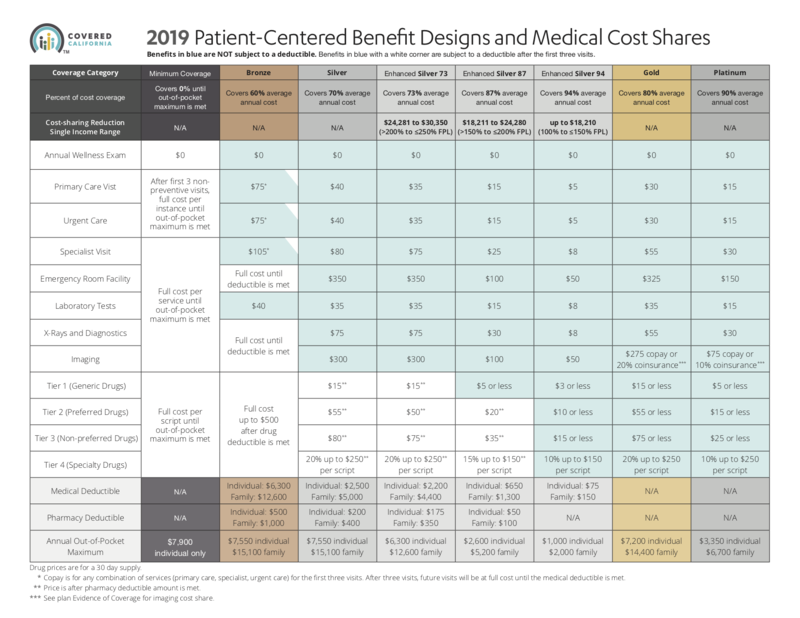 When the Affordable Care Act (ACA) became law, health insurance plans were repackaged, and categorized into 4 metal tiers: Bronze, Silver, Gold and Platinum. Covered California took this a step further and streamlined all the plans they offered on-exchange, so they became a real “apples to apples” comparison. 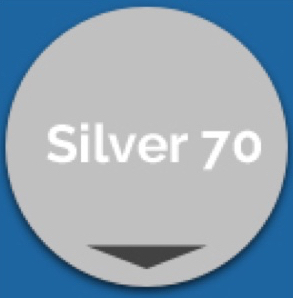 The silver tier is the most popular, so using it as an example, if you were looking at all the Silver 70 plans on the Covered California marketplace, there would be no plans benefit differences. You would only have to decide which carrier you want, and whether you want an HMO, EPO, PPO or HSP. These acronyms represent the type of network you would have access to and essentially which doctors, and hospitals accept your insurance. 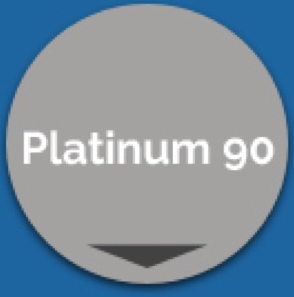 The metal plans categories help identify how much you would pay of estimated average medical costs, compared to how much the insurance company pays. It has nothing to do with the quality of care given. All plans include the 10 Essential Health Benefits that are required to be covered by law. Below you will see a summary of the 4 metal tiers along with the minimum coverage plan. Out-of-pocket maximum limit; which is the most you would pay in a calendar year if the worst happened. A healthy individual/family that wants to take advantage of tax savings, and plans on putting money into a special bank account called a Health Savings Account. This money can be used for medical expenses and the money roles over from year to year. This is considered a major medical health plan so it would be good for someone who wants catastrophic coverage. In addition, those that prefer alternative medicine find this an attractive option as many of the services can be paid for with money from an HSA. Check the IRS publication 502 as to what medical services are eligible. Out-of-pocket maximum limit; which is the most you would pay in a calendar year if the worst happened. 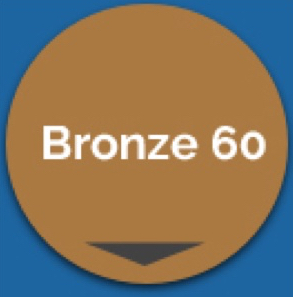 The out-of-pocket maximum would be a little lower the standard Bronze 60 plan above. Common services such as doctor visits, lab work, generic drugs, and emergency room visits for a set copay (dollar) amount without having to meet your deductible first. Mid-range deductible for major services such as outpatient surgery, hospitalization, etc. 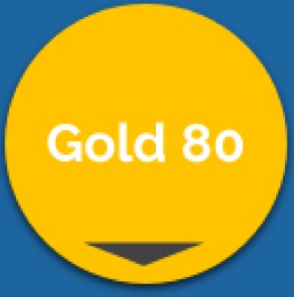 Copays (fixed dollar amounts) for medical services if you select the Gold 80 Copay plan, or coinsurance (a percentage of the medical costs) if you select the Gold 80 Coinsurance plan. Lowest out-of-pocket maximum limit (most you would pay in a calendar year if the worst happened) available of all the Obama Care plans offered. Government assistance (subsidies) cannot be applied in reducing the premiums for this plan. It is available only to those 30 and under as well as those who meet the hardship exemption.